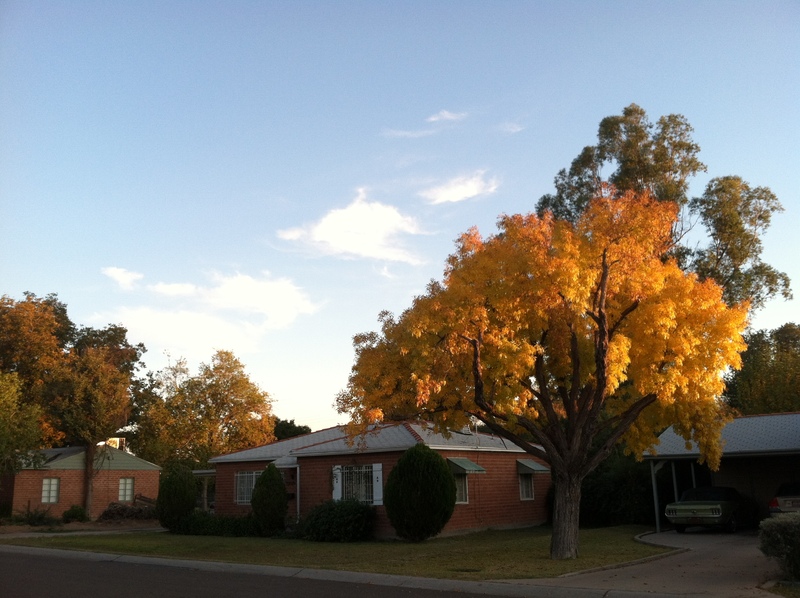 When you live in central Arizona, you learn to take fall when you can get it. After the nonstop inspiration! challenges! change! presented at the Arizona Library Association, a nice quiet walk in the brisk, clear air was just the thing. The fun thing about December is sunset walks can happen before dinner, and the fun thing about cities is finding little old neighborhoods with delightful little houses like the one above.